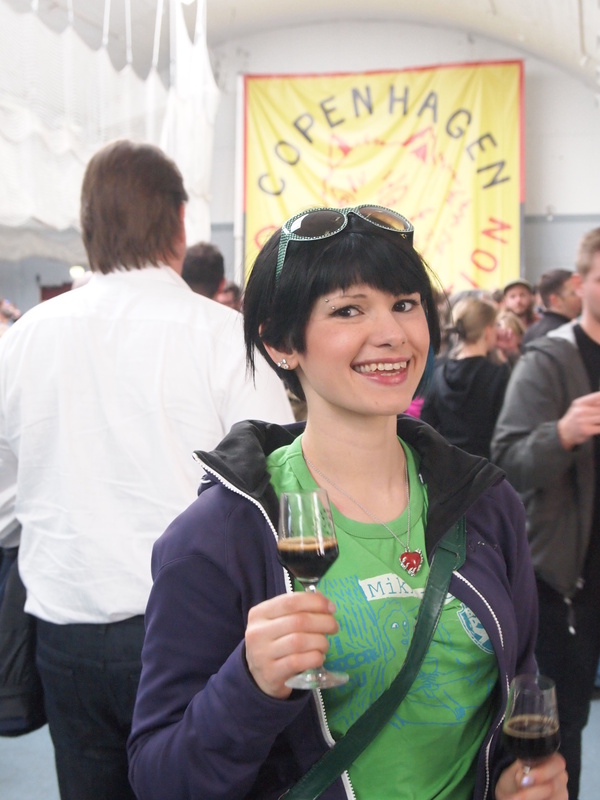 Last week I fulfilled a dream of many beer geeks and jetted across to Copenhagen, Denmark for the second edition of the Copenhagen Beer Celebration hosted by the esteemed ‘gypsy’ brewer himself, Mikkeller. This was a rare opportunity to sample beers from a wide selection of the best breweries in the world today. Our tickets were for the Saturday afternoon session and, between 18:00 and 23:00, all the beer we wanted was ours for the taking. Getting off the flight and going for our train into the city that afternoon, I was already geeking out, spotting t-shirts and stickers and jackets depicting brewery logos everywhere I looked. Some I’d never even heard of. Having checked into the hotel and dumped our cases, we made our way across town clutching Google Map directions, but we kinda knew when we were in the right area. The folks staggering out of the previous session and lying on the pavement gave it away.We had arrived. We were issued with cute little stemmed tasting glasses and told to help ourselves but it was tough deciding where to start! There was way too much choice so I started with Stillwater Lower Dens (6%ABV) and made my way around the hall to peruse the stands. One of the nicest things at a beer festival like this one is meeting the brewers or at least people associated with the brewery and hearing them talk so passionately about the beers they’ve brought I loved the team from Boxing Cat who had come all the way over from Shanghai. Their King Louie (8%) which had been aged in bourbon barrels was insanely rich and complex and one of my favorites of the day. The team were so friendly and really wanted to talk about their beers and the brewery, which I learned was named for the brewery cat Louie who used to look like he was boxing when he chased butterflies (unfortunately now no longer with us). I also loved the very smiley team from Westbrook from South Carolina and their spicy, chocolaty treat Mexican Cake (10.5%ABV). Unfortunately, I completely missed the 3Floyds stand, I believe because there were too many people around it to actually see it, so I missed out on the legendary Dark Lord! In fact, 3Floyds were the first to run out of beer – for some reason I hadn’t expected this to happen (yes they make some of the highest rated beer ever) so next year they’ll be my first stop. 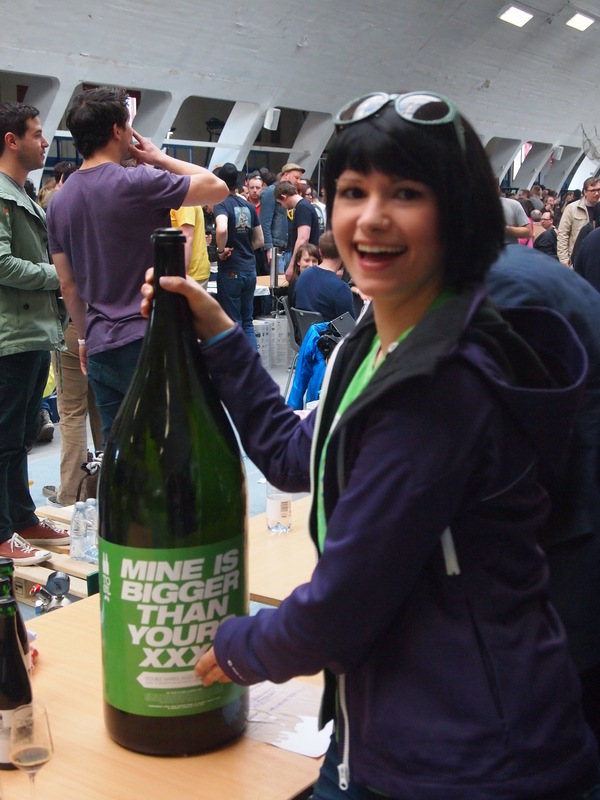 Luckily we happened to be in a huge hall packed with so many amazing breweries I was spoilt for choice! How will I get this in my suitcase? It was great to have a flat ticket price which included all drinks rather than using a token system – it took me the whole 5 days I was in the country to work out the Danish money so cash would have been a disaster! I felt like a kid in a candy store, wandering wide-eyed from one stand to the next clutching my little glass and marveling at all the wonderfully creative brews. I’m glad that the festival glasses were so small so I could try lots. A lot of the beers were pretty strong and as you can see in my list below, I didn’t drink many that were below 10% so even 1/3rd pints would have been disastrous. The trends I noticed around the hall were barrel-aging (OK that’s been popular for a while) and saisons and lambics, two styles I have only recently started getting into. I’m not sure whether I especially noticed these as they are still relatively uncommon here in the UK. Mikkeller brought a particularly exceptional lambic Spontandoubleblueberry (8%) (imagine trying to say it after a few drinks) which had a pretty disturbingly purple color and a super-serious sourness. So was it possible to choose a favorite amongst such a stellar line-up? Possibly not but a few stand out in my mind. One of my top picks was actually from Siren who hail from the not-so-exotic Berkshire; ‘Chai Love You a Latte’ (6.5%ABV) is a spice-infused version of their breakfast stout Broken Dream. I initially loved the cute name but the flavor was a pretty close match to the hot-cross bun chocolates I love which Hotel Chocolat bring out every Easter. I also rate Against the Grain Bo & Luke (13%ABV) quite highly – the guys on the stand were great which helped but they had brought over a port barrel aged version of this Imperial Stout which was fabulously smoked. Then of course there was the Anchorage tripel, The Tide And Its Takers (9%ABV) which had an amazing citrus sourness and totally lived up to its reputation as an outstanding beer.